Home » hair » misc » Curly Hair with 5 bobby pins! I was feeling super lazy the other day and after blow drying my hair I did not want to flat iron it so I rolled up 5 sections of hair on my finger and pinned it with bobby pins. I left it in for an hour, maybe 2. I was surprised how curly it turned out! 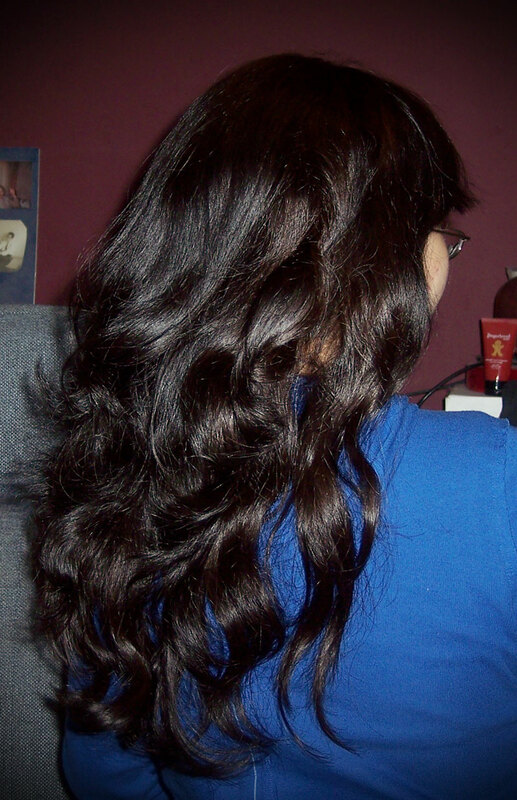 I like using my flat iron to curl my hair, but I also like this look it is more natural looking. One downside was there was no heat involved with the curling so my hair stayed a little frizzy. Next time I will use my hairdryer on it while it's rolled up.